I need to replace main spring in repaired clock. Clockmakers have special and expensive tool for this purpouse. So I made one for occasionally use. 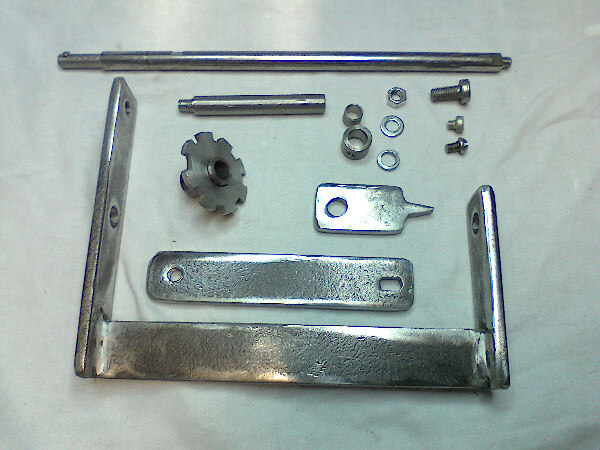 The main frame is welded from flat steel. 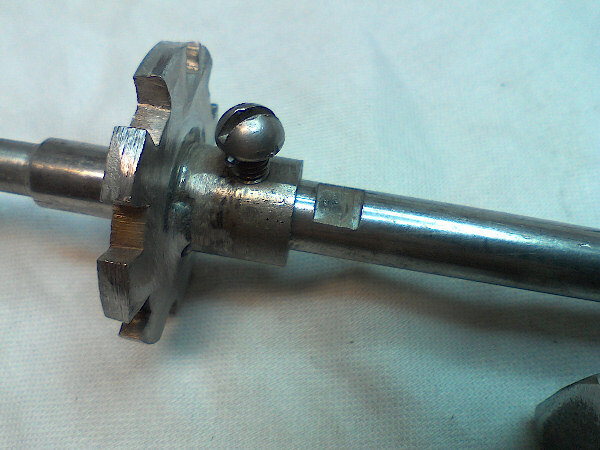 Next I use piece of steel rod for the spindle. 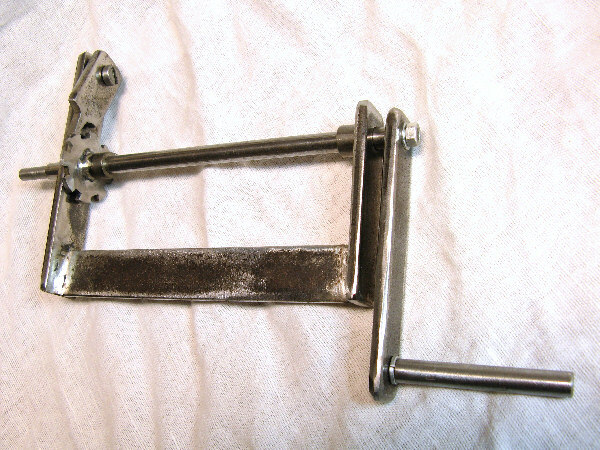 There is mortice and thread on one end to hold the handle. The hook for the catching the spring is on the second end. 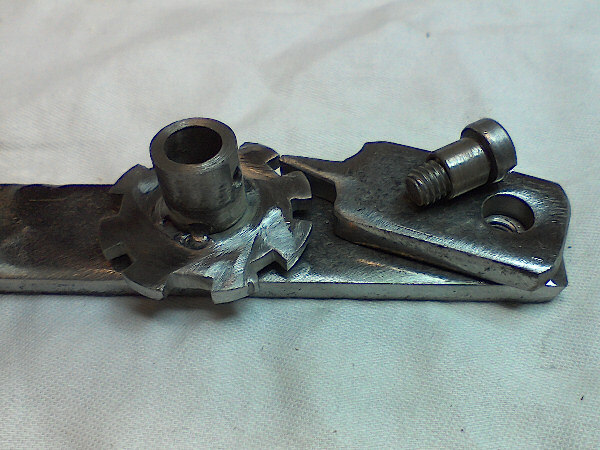 To secure the position of the spindle there is ratchet which is made from the washer. The washer is welded to the sleeve. 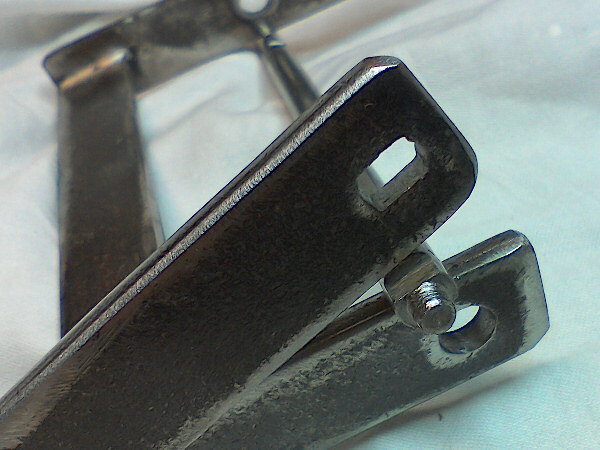 The latch is secured to the frame using screw. 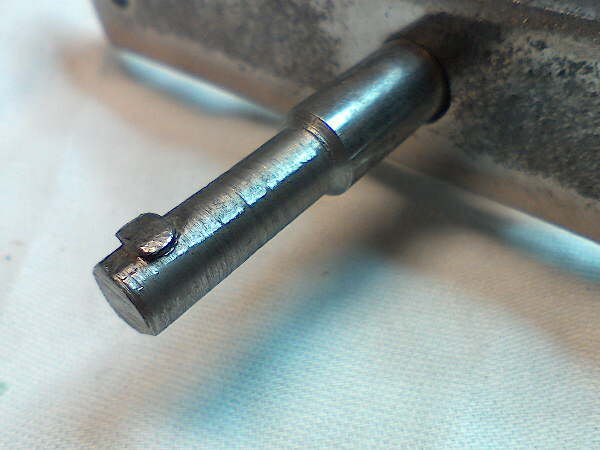 Ratchet wheel is fixed to the spindle by the screw. Finished winder from 14 parts.